It has been a while since the last blog, as things have gotten busy and the nice weather draws me outside for training, the time to dedicate to the blog pretty much dissipated. I cannot promise much as far as how much I will be writing over the next few months, since the triathlon season is reaching its peak. Ever since I moved to the US about 6 years ago and probably even before then, I pretty much wasn't eating yogurt. Part of it was that I didn't like the flavor of fat free yogurt. 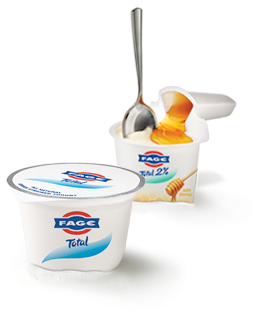 I have recently rediscovered yogurt, with a different viewpoint and positive experience of its taste. Instead of normal (mostly fat free) yogurt, a friend pointed out "Greek Strained Yogurt" from Fage. It is very creamy and smooth and has a little bit of a salty flavor to it. It comes in 3 different fat content categories, where I prefer the 2 % option. There are obviously pros and cons to each version, in general I eat yogurt as a snack in between meals or as a dessert and therefore try not to consume too many calories from fat. It is however important, especially for snacks, to add some calories from fat, since a the body needs fat and b the meal/snack will last much longer and you will prevent heisshunger (ravenous appetite). Snacks should generally have similar nutritional contents as meals, just in smaller doses. 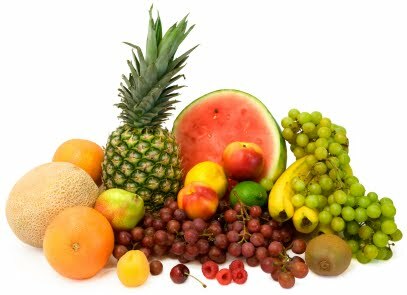 If you only eat fruit, you are providing you body with a lot of sugar, which will drive up your insulin levels quickly and are also digested very quickly. If you eat fruit and a yogurt that contains some, fat, you are not only adding fat, but your are adding valuable protein. Voila, here goes your complete meal :).